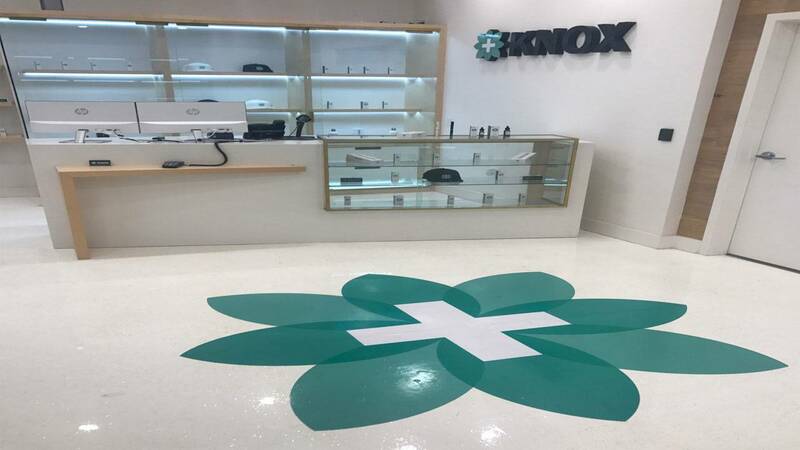 GAINESVILLE, Fla. - A Central Florida-based medical marijuana firm, Knox Medical, on Wednesday opened a dispensary storefront in Gainesville, one of its first in Florida since the approval of a medical marijuana amendment in November. The Knox Medical Gainesville location is on Southwest 34th Street, close to the University of Florida campus. News 6 was there on Wednesday as Knox Medical co-founders Jose Hidalgo and Bruce Knox led a press tour of the new facility. From the outside, the white storefront with a green “Knox” sign and logo looked like most other businesses, but customers are greeted inside in a space that feels like a waiting room. Anyone is welcome there, but only people with prescriptions can go into another room, which is separated by glass panels. Past the glass panels are consultation rooms with a table of iPads where people can learn about Knox's products and a counter with a line of products behind glass. The company is trying to change perceptions about medical marijuana and Knox said customers won't find the "smokable flower" in the dispensaries. "We have banned the terms, 'marijuana,' 'weed,' 'pot.' 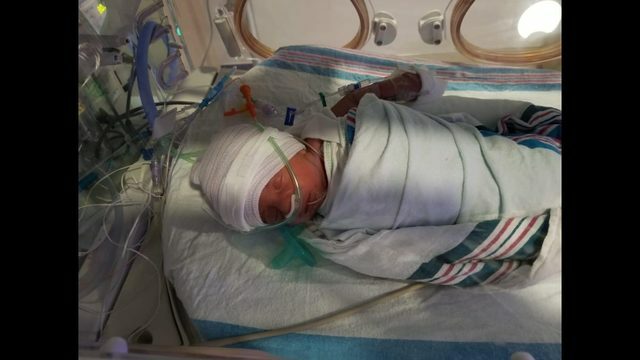 We only refer to it as medical cannabis," Knox said. Inside the new Knox Medical’s dispensary storefront in Gainesville on Wednesday, May 17, 2017. The location is on SW 34th Street. The Winter Garden-based company sells low THC oils to patients. No Florida medical dispensaries can legally sell marijuana to be smoked. Knox Medical and other companies sell low-THC oils and cartridges for vaporized-smoking devices. Knox is set to open a dispensary in Orlando, the first for the city, in a few weeks. The storefront at 1901 N. Orange Ave. in Ivanhoe Village will be the first in the City Beautiful. It is just over a mile from nearby Florida Hospital. The current product line includes vaporizers and liquid drops. 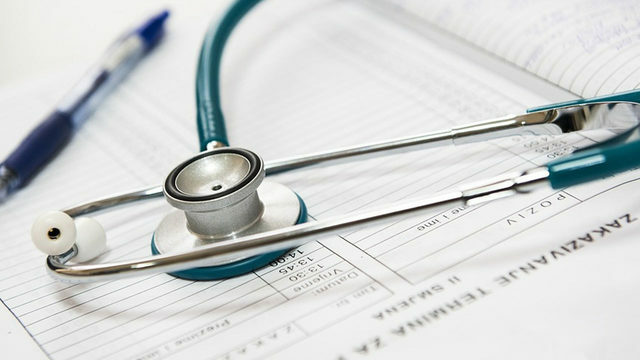 More Florida locations are planned in Jacksonville, Lake Worth, Tallahassee and St. Petersburg in 2017 and 2018, according to a spokesperson for Knox Medical. Employees said they hope the stores will give more people access to medical cannabis. "This is for anyone in the community to come ask questions and interact and feel like they have a piece within Knox," said employee Daniel McVay. The company is part of Knox Nursery, operating out of Winter Garden for more than 50 years, according to its website. The nursery produces more than 500 varieties of plants. News 6 attended the grand opening event Wednesday after Knox received approval from the Florida Department of Health to open its first cannabis dispensary in Gainesville. Take a virtual tour through the store here. Florida voters approved a state constitutional amendment on Nov. 8 to legalize medical marijuana, broadening access to pot beyond the limited therapeutic uses approved two years ago by the Legislature. Specifically, the measure allows prescriptions for 10 illnesses: cancer, epilepsy, glaucoma, AIDS, post-traumatic stress disorder, amyotrophic lateral sclerosis, Crohn's disease, Parkinson's and multiple sclerosis. It also allows doctors to prescribe pot for any similar ailment. The Florida Department of Health started the process in February of accepting applications for medical marijuana identifications cards for residents. The application for Florida patients and caregivers requires a $75 fee, a copy of a government-issued ID and a passport photo.